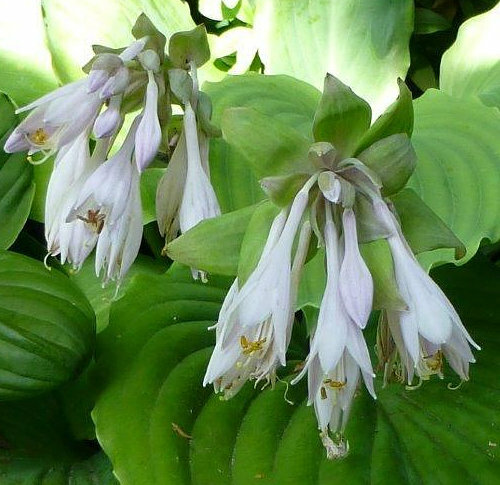 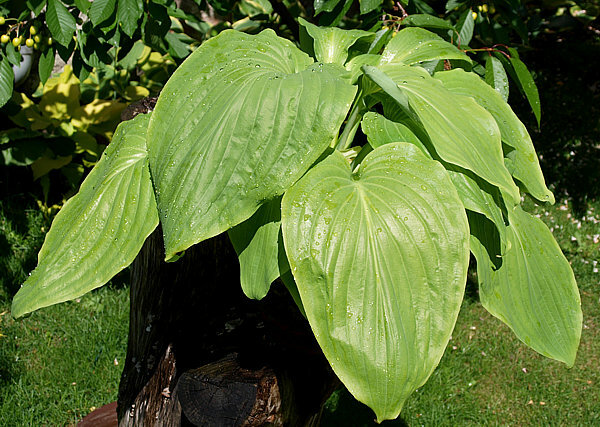 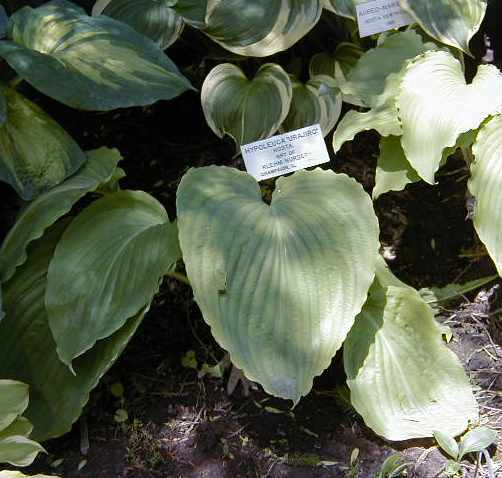 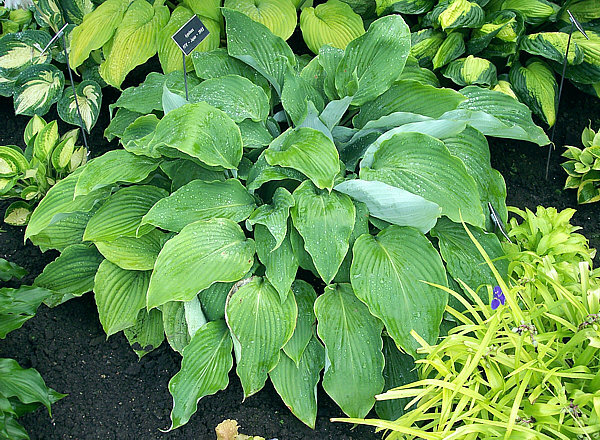 hypoleuca is in Japan called Urajiro Giboshi, the “white-backed hosta.” It is uncommon in the wild and usually found in the mountains of south-eastern Aichi Prefecture, Mikawa area, as well as in Shizuoka Prefecture near Tenryu in the Tenryu River District. 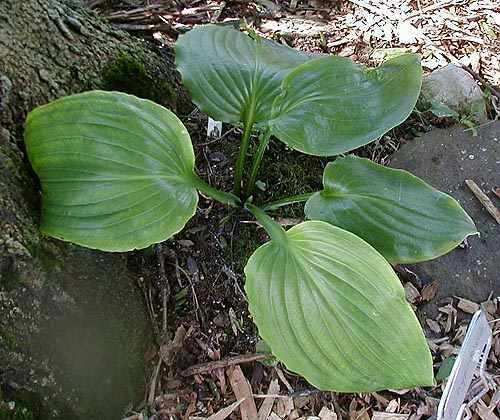 According to Schmid it grows on sunny, south facing canyon walls clinging tenaciously to rock ledges. 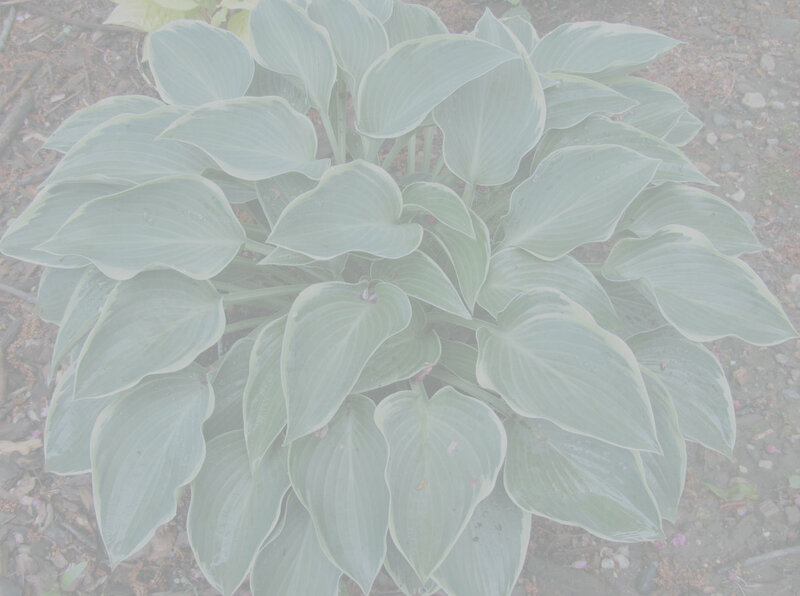 The species name is derived from the Greek hypo = back, beneath and leucon = white color. 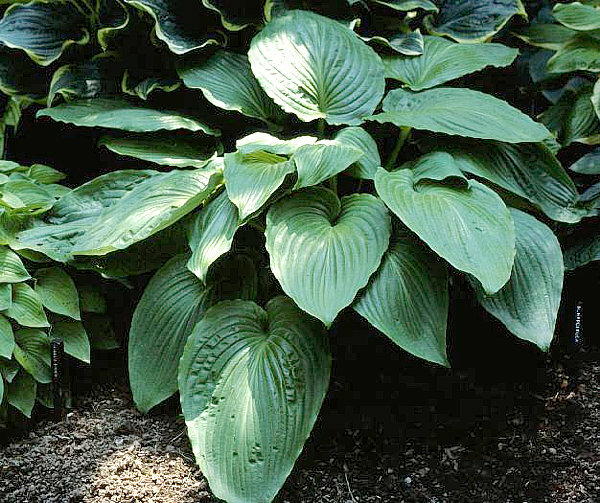 It is a parent of several important breeding lines. 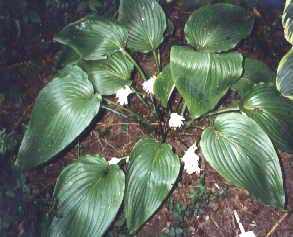 In 1985 Aden named a selected plant of this species `Maekawa'. 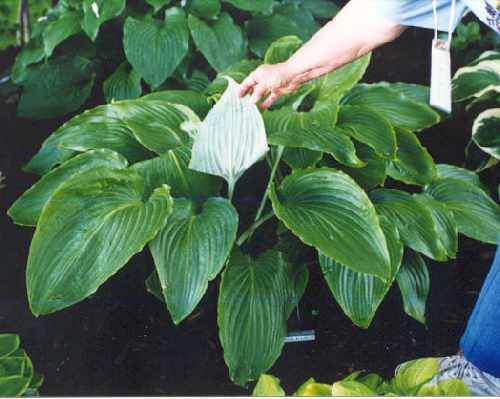 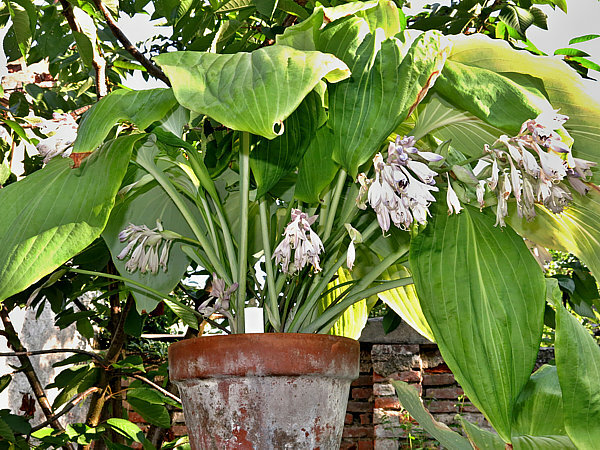 In Japan plants belonging to hypoleuca are often used in elevated pots to show the often very white coating of the leaf underside.